Virgin Atlantic sent me a press release this week about the expansion of Heathrow. There is nothing in it that you haven’t heard before, but it did contain three interesting statistics about British Airways position. In total BA / IAG controlled 54.7% of Heathrow take-off and landing slots in Summer 2017. I’ve no idea what you are meant to do with this information, but I found it interesting …. American Express Platinum and Centurion cardholders get a number of decent hotel deals, mainly through the Fine Hotels & Resorts programme (late check-out, upgrade if available at check-in, free breakfast, bonus amenity). A relatively new venture over the last 5-6 years is the Amex Platinum UK Hotel Collection (PDF document, this is the 2016 version – there is no 2017 version. Mobile users should click here instead.) It showcases 31 top properties, both city and country, such as Chewton Glen, Gleneagles, The Grove, Coworth Park, Lucknam Park and Cliveden (photo above). Rates are guaranteed to be no higher than the Best Flexible Rate offered by the hotel itself. This means, if you need a cancellable rate, you will get value here as your only alternative is Best Flex from the hotel without these benefits. If you are happy with a cheaper, non-refundable rate, you’d need to weigh up the benefits of this programme versus the extra cost. Unfortunately, American Express is closing the UK Hotel Collection on 31st March as you can read here. It isn’t clear if 31st March is the last day to book or the last day to stay. It is a shame to see the end of this offer, although Amex did a bad job of promoting it. There has always been quite a lot of churn in the portfolio since it launched and the total number of hotels kept getting smaller. It would have been better if all of the hotels had been folded into Fine Hotels & Resorts instead although I can imagine that some would not want to do the 4pm guaranteed check-out required by FHR members. If you are planning a UK break over the next few weeks and have an American Express Platinum card, you may still be able to squeeze in a booking. You can find out more here. 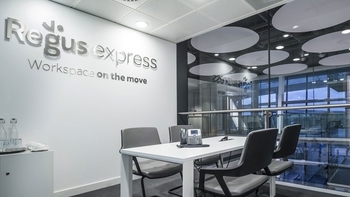 If you have a Regus card (or a DragonPass, as they are usually accepted at airport locations), you’ll be interested to know that the new Regus Express business centre in Heathrow Terminal 3 I wrote about a few months ago is now open. Unlike the Terminal 5 centre, which is in the Arrivals area, this one is in Departures. You need to go up the Terminal 3 escalators in Departures to the level where security is. Instead of turning left towards security channel, turn right towards Pret. Regus Express is just around the corner. I have paid a deposit on a villa rental on my card some months ago, I have booked and paid for flights and car hire separately on my card, today I went to pay the villa balance to be told they no longer accept amex due to the changes in charges, anyone know where I will stand with the Plat Ins, I have just spent some time of chat and phone going backwards and forwards but can’t get an answer? If are not given opportunity to pay on Amex, you’re covered. I understand it that you have to pay wholly with your Amex Plat. At least that’s what I was told when claiming for flights. OT I booked a 2-4-1 CW trip to Antigua in May and later we separately booked the hotels for the trip through BA. Am I able to connect these bookings? And any reason I would or wouldn’t want to, eg so the hotel booking would be automatically protected if BA screw up the flights? No, can’t be done. But, given it is Antigua, you’d have full travel insurance anyway which would cover the hotel cost if the flight was delayed. OT – sorry if already posted on here, didn’t see anything scanning through comments. Looks like BAECs offer to entice Tesco CC conversion is entry into draw to win a CE break to Kefalonia. The prize includes Club Europe return flights and three nights’ accommodation for two people in a 4-star hotel. You can take your break anytime between 15 May and 31 August 2018, subject to availability. Tried using the Regus in T2 a few weeks ago, it’s not open at the weekend. OT upgraded from gold to platinum card…when is the fee usually applied ? Mine was charged after two weeks or so! Depends on whether you’re lucky or not. If you’re lucky – on your gold anniversary date. If not, with the next statement.